A 1-cup serving of macaroni and cheese prepared from a boxed mix contains nearly 10 grams of fat, 3 grams of saturated fat and over 50 percent of the amount of sodium a healthy adult should have daily. Some homemade versions contain even more fat and over 900 calories a serving. By preparing macaroni and cheese with healthy, nutrient-dense ingredients, you can cut the fat and sodium per serving while increasing your fiber, vitamins and minerals. Serve homemade macaroni and cheese with steamed vegetables, a tossed green salad and fresh fruit for a quick and economical meat-free meal. Use whole-wheat macaroni noodles instead of noodles made from white flour, for more fiber and B vitamins such as niacin and folate. Boil the noodles until they are just tender, and then drain them in a colander or strainer. Prepare the cheese sauce with reduced-fat cheese and low-fat milk instead of full-fat dairy products to decrease the amount of saturated fat. Add low-fat cottage cheese or nonfat Greek yogurt to give the sauce a creamy, rich texture without the addition of cream or butter. Stir in sauteed onions and garlic or seasonings such as dry mustard powder, nutmeg or cayenne pepper for additional flavor. 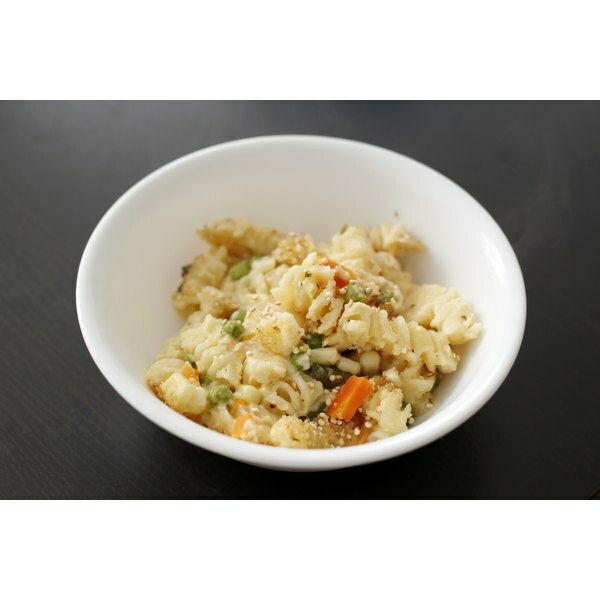 Add vegetables into the cooked macaroni and prepared sauce, such as chopped steamed vegetables like broccoli or cauliflower, shredded raw carrots, cooked green peas or frozen, chopped spinach that's been thawed and drained. Mix the vegetables with the pasta or put half the macaroni and cheese into a baking dish coated with cooking spray, spread on the vegetables in an even layer and top with the remaining pasta. Skip high-fat traditional macaroni and cheese toppings like crushed crackers or bread crumbs sautéed in butter in favor of toasted, unseasoned whole-wheat bread crumbs or whole-wheat panko mixed with grated Parmesan cheese. Avoid pre-seasoned bread crumbs, which may be high in sodium. Bake the macaroni and cheese until the topping is light golden and the sauce is bubbling. While cheddar cheese is the traditional choice for homemade macaroni and cheese, experiment with other types of reduced-fat cheese, or a combination of cheeses. For a healthy meal when time is short, prepare extra macaroni and cheese and freeze it in an airtight container or plastic zip-top bag for up to three months. 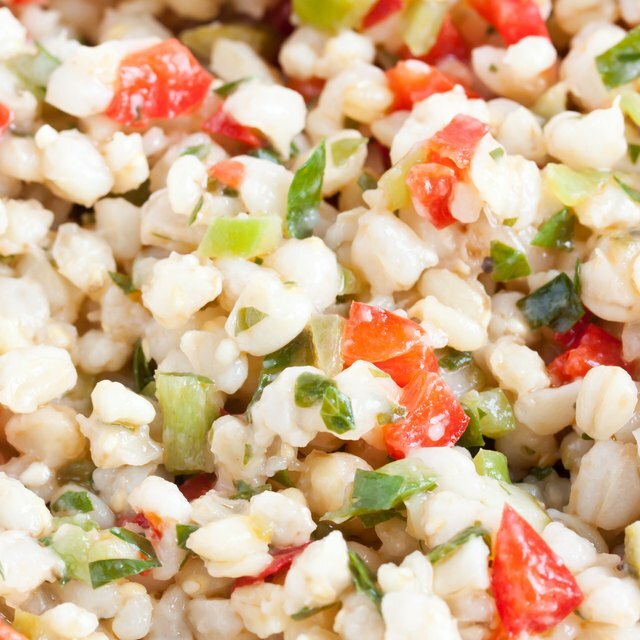 Avoid cooking the whole-wheat macaroni too long. If the noodles are cooked until they are soft, the final dish may be mushy.